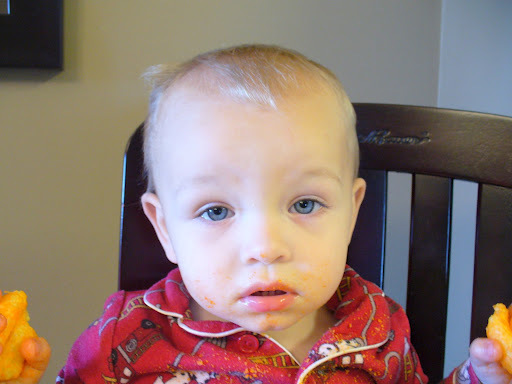 As I mentioned in a previous post, little Owen has been sick this week. The first few days he was just a pitiful sight! He stayed in his pjs, didn’t want to eat, and just wanted to be held. 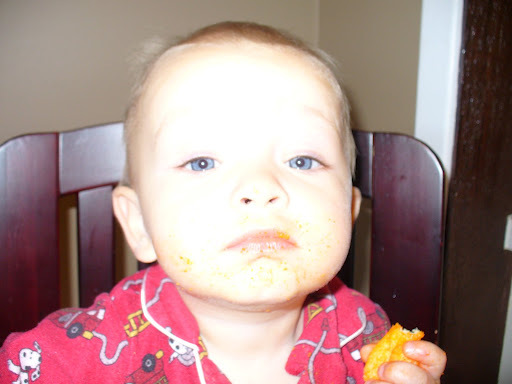 His favorite snack is Cheeto Puffs. He’ll fight you for a Cheeto Puff! He normally loves to share all food with Emma but if she steals one of his Puffs, he loses it. 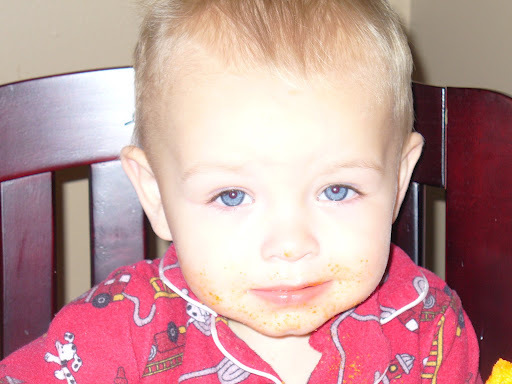 So, here are a few pictures of the pitiful little man enjoying his Puffs. 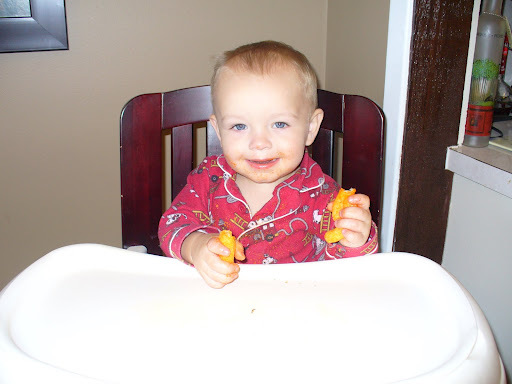 check out the amount of cheeto cheese on his face! I love this one! It’s his tough face! Cheeto Puffs make everything all better! 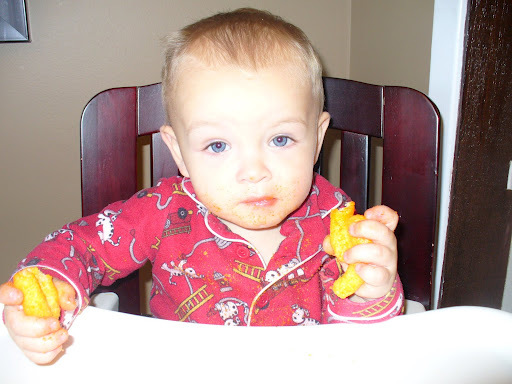 So, when you’re having an especially rough day…enjoy a few Cheeto Puffs…they make everything all better!